The Concert Hall was abuzz with chatter when quite suddenly the lights were dimmed. A large screen on stage began showing its old style newsreel introduction to the man we had all come to see, when almost surreptitiously, with no fanfare at all, he appeared silently on stage, and the place erupted with spontaneous and sincere applause. I expect that this is often the way with Bryson, the world's largest teddy bear, author, unlikely raconteur, and jack-of-all subjects. The man, like his books, creeps up on you unsuspectingly, until he seems like an old friend or the familiar and avuncular man next door. 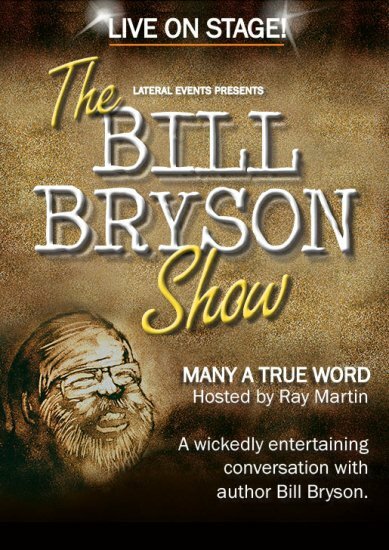 Bryson, one of the world's most loved and highest-selling authors, is currently on a whistle-stop tour of Australia, presenting his Many a True Word show, in conversation with Ray Martin. His show is a little exploration of the man and his books, punctuated by some projected sand art from cartoonist, Brett Power, and some recorded comments about Bryson from friends and eminent men of science. It might seem an incongruous format but it worked a treat. There is something endearing and disarming about Bryson. He seems genuinely surprised at his celebrity, if a little rankled that he is never even recognised in the country of his birth, the USA. He told the audience that although he is feted around the world, at a recent book signing event in the USA, only six people turned up; two were the bookstore owner and his wife, two were friends of Bryson who were taking the opportunity to catch up with him, and one was a man whose name was also Bill Bryson, who thought it would be fun to have a photo taken with his famous namesake. From Bryson' point of view it wasn't - fun, that is. 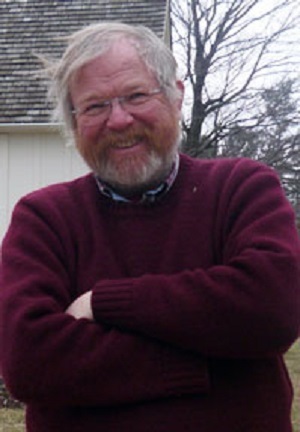 Bryson, a former journalist and chief copy-editor for The Times, has written more than 20 books on a wide variety of subjects including travel, language, science, architecture and history, as well as a biography of Shakespeare and his own memoir, The Life and Times of the Thunderbolt Kid. You can find a full list of his books on his official website here. His bestselling travel books include The Lost Continent, Down Under, A Walk in the Woods and Notes from a Small Island. His book on the history of science, A Short History of Nearly Everything, won the Royal Society's Aventis Prize as well as the Descartes Prize, the European Union's highest literary award. For a writer who exclusively writes non-fiction, Bryson is a master story-teller, who can make even the most complicated subjects understandable in a way that 'experts' have long since forgotten how to do. The defining hallmark of his work is curiosity, although he told us that he doesn't consider himself any more curious than other people. He's "just found a way to make a living out of it". If you possess a sense of humour and even an ounce of curiosity about the world, I recommend Bryson's works and a visit to one of his remaining Australian shows. Down with my usual autumn dose of sinus problems, nothing but Bryson could have tempted me out for the evening, and I was so glad I went. Bryson brought his insightful and engaging wit to bear on a diverse range of subjects, spoke about incidents in his life, and read some very entertaining passages from his works. Comedy Relief and I were astounded to learn that Bryson does all his research himself, surely a monumental task when you consider the level of detail and nuance he is able to bring to his subjects. He considers research "the fun part" of the writing process and the actual writing "more like a job". The process of researching and writing A Short History of Nearly Everything took four years. I was reassured to find that like most of us mere mortals, he has a very poor memory; "Nothing sticks in my head at all", he told us. I have to say that I've never been much of a fan of Ray Martin; I've always thought him a bit pompous and self-important for my liking. But Ray did a great job of facilitating the evening, bringing out the best of Bryson's whimsy and broad-ranging general knowledge, and allowing the audience to get to know the man himself. It seemed that Bryson was 'preaching to the converted'. It was obvious that members of the audience were highly familiar with, and fond of, his works, but I don't think a previous knowledge of Bryson would be necessary to enjoy the evening. He stands above and beyond his literary creations as a delightful, genial and entertaining man, with an insatiable thirst for knowledge and understanding of the world around him. And if that could be communicated to more people then surely that world would be a better place. Perth: Wednesday 19th March at Riverside Theatre, Perth Convention and Exhibition Centre. Melbourne: Saturday 22nd March at The Plenary, Melbourne Convention and Exhibition Centre. Me? I'm off to purchase Bryson's most recent book, One Summer, America 1927, to add to our already weighty collection of his works. Cost: Varies. See individual cities for details.